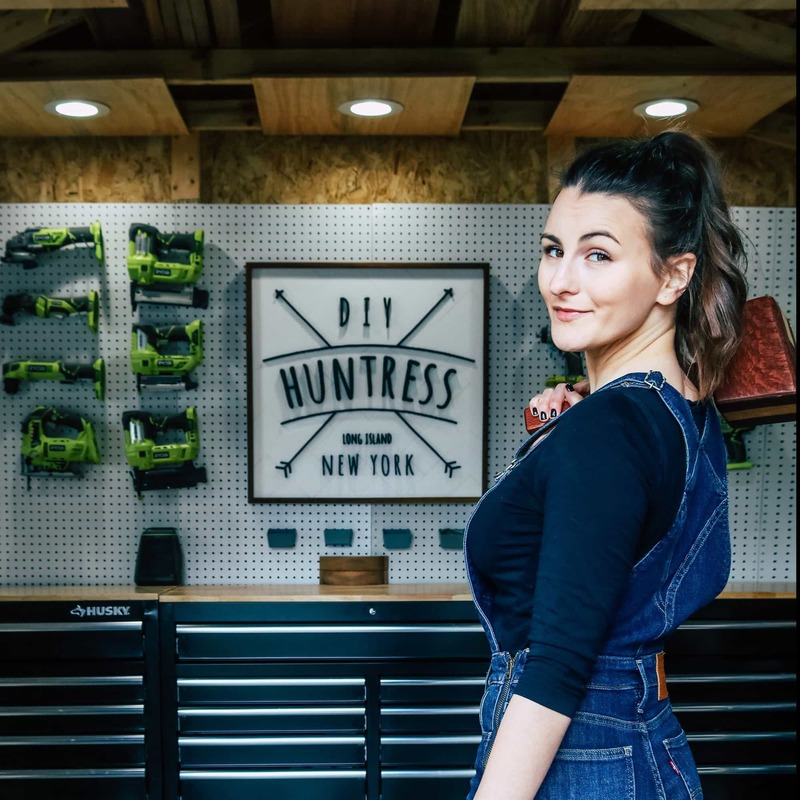 One of my favorite parts about being a DIY blogger is that I get to be part of a community of insanely talented makers. So, cue my excitement when a bunch of my favorite creators invited me to a fun Wood Art Challenge! 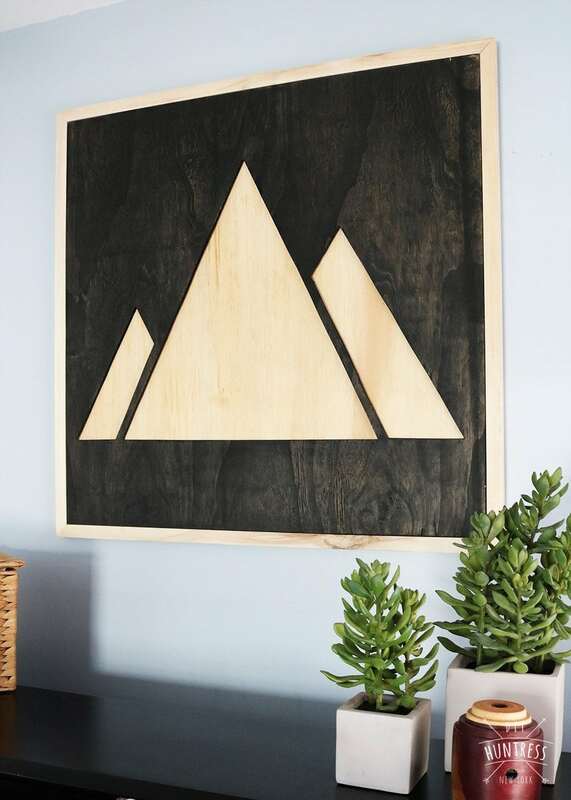 I already have a tutorial on my blog for Geometric Wood Art and thought it would be fun to try something with plywood this time. To help me with this project, I partnered with my amazing friends at Rust-Oleum to show you how to make this piece of wall art in one weekend! Here’s how. One of the things I love about wood art projects is how easy they are to customize. 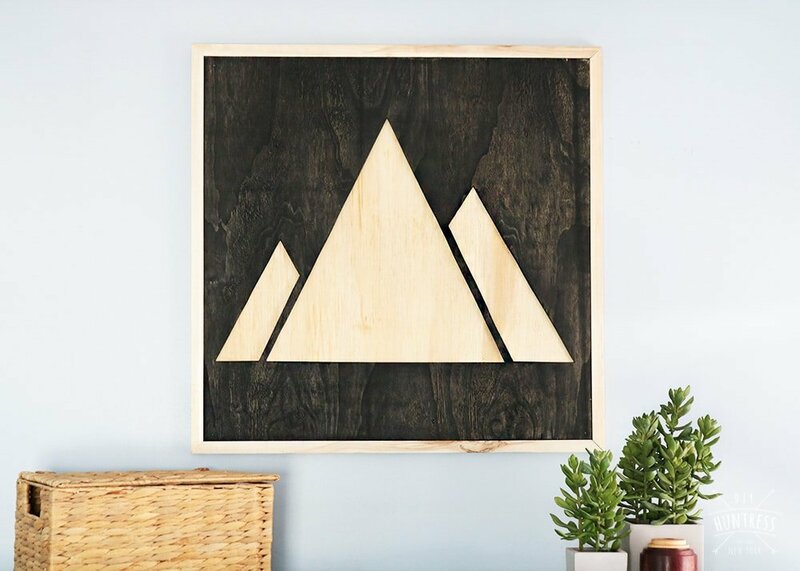 Although I used a geometric mountain design, you can create this piece of artwork with any design you choose! 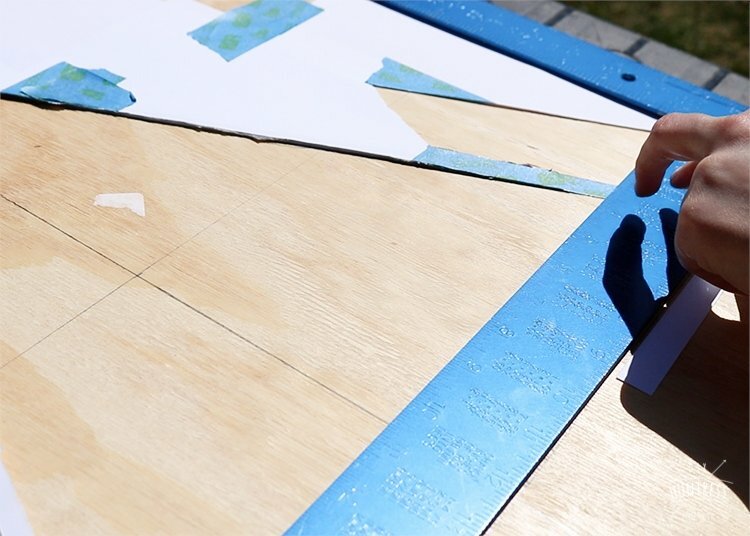 Just make sure to resize the design to the proper height and width for your project. Since we’re talking shop, let’s get started! 1. 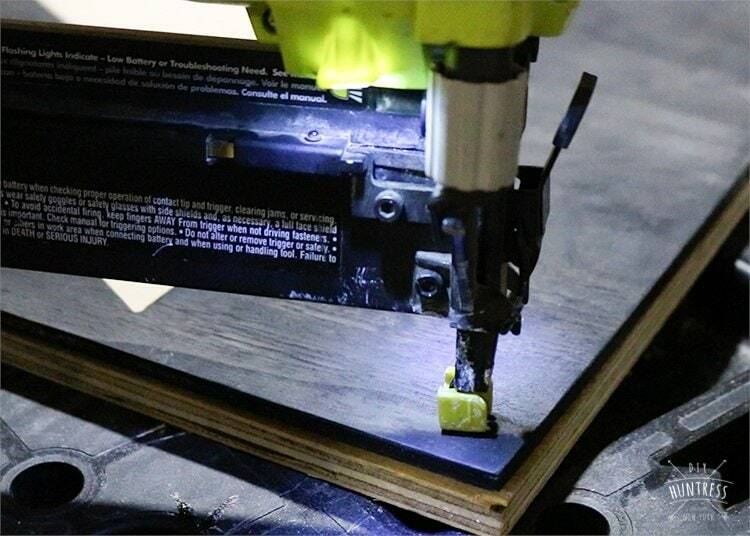 Print your design. I used Photoshop to resize mine to 2 x 2′ and print it in sections. You can download my design by clicking on the PDF link below! 2. 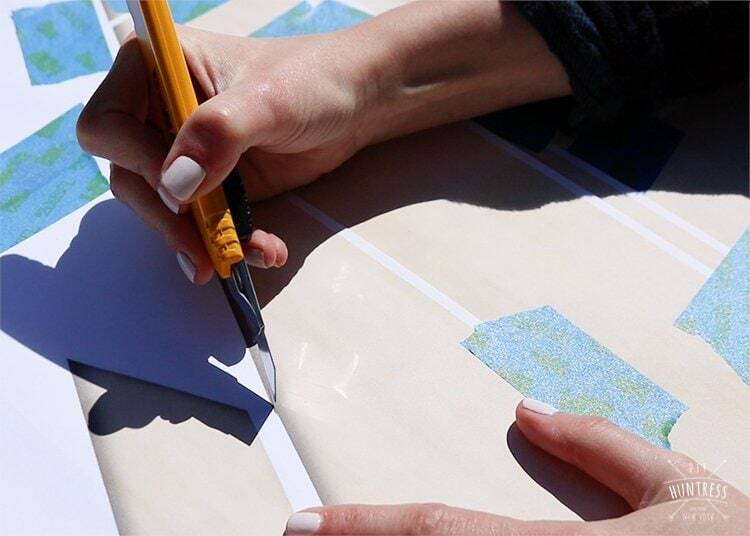 After printing your designs in pieces, use tape to assemble the design. 3. Use a box cutter or x-acto knife to cut out your design. 4. 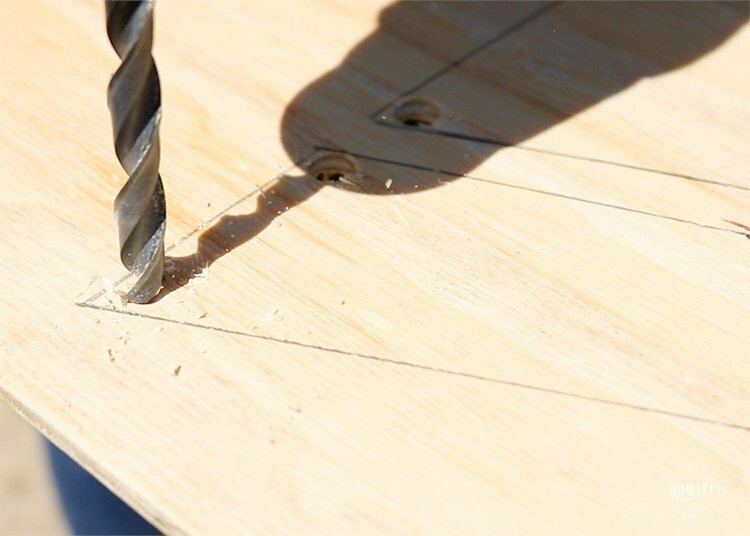 Use your carpenter’s square to find the center of your ¼” plywood piece. This will help with placing your design (we will introduce the ½” piece of plywood later). 5. Next, measure twice! 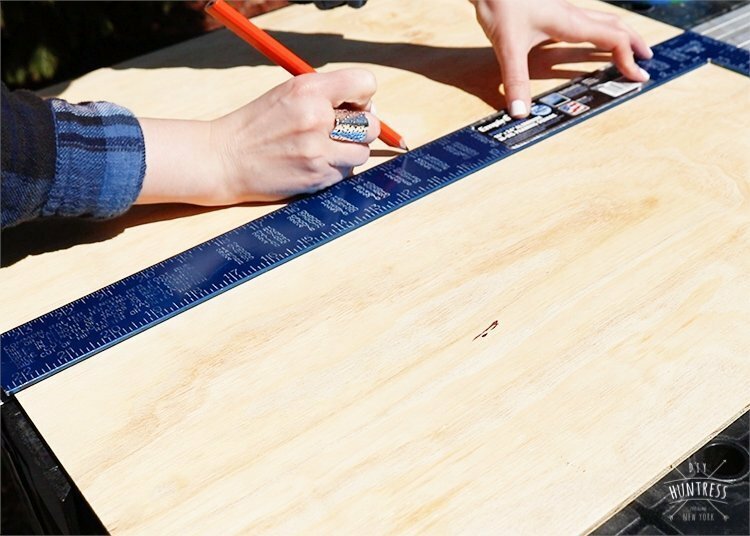 Use your carpenter’s square to help with tracing your design (especially if you’re designing something with super straight geometric lines). 6. Once you’re happy with your traced design, use your drill and bit to drill pilot holes for your jig saw blade. 7. 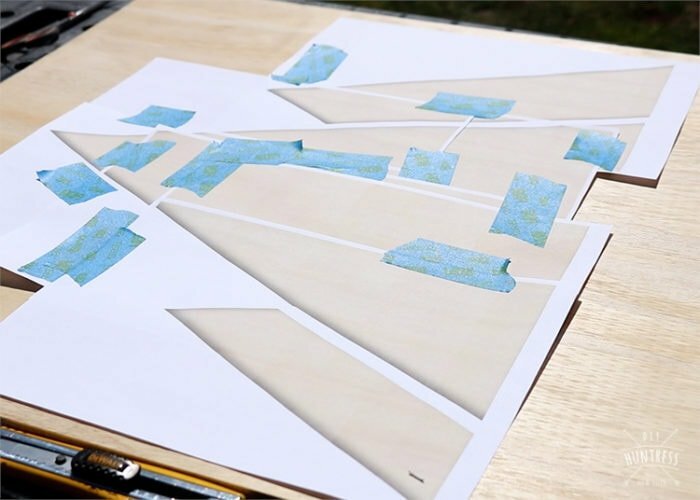 Next, use your jig saw to follow the lines you’ve traced. 8. 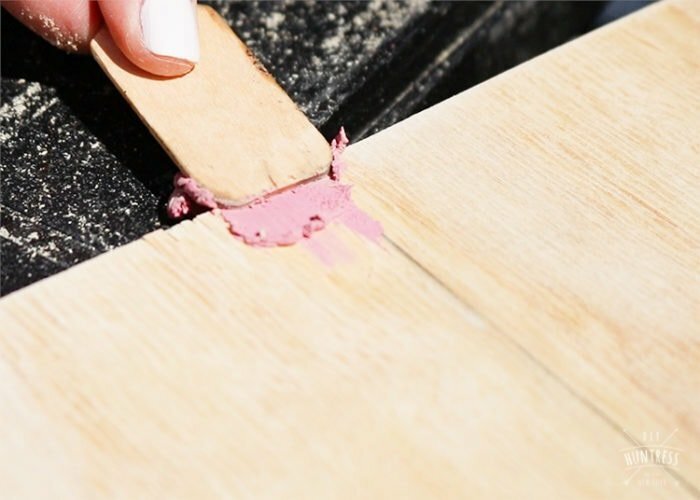 Use wood putty to smooth out cracks or tear-outs (if necessary) and then sand down your entire piece of plywood. 9. 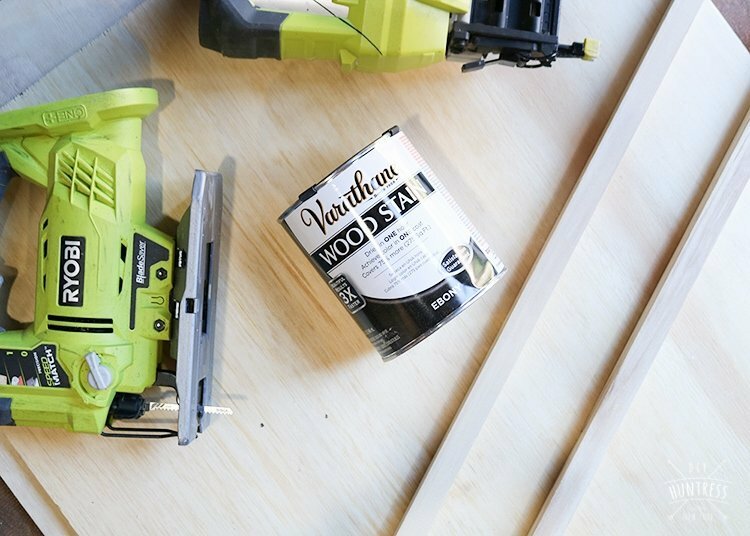 Once your ¼” plywood piece is prepped and sanded, it’s time for stain! 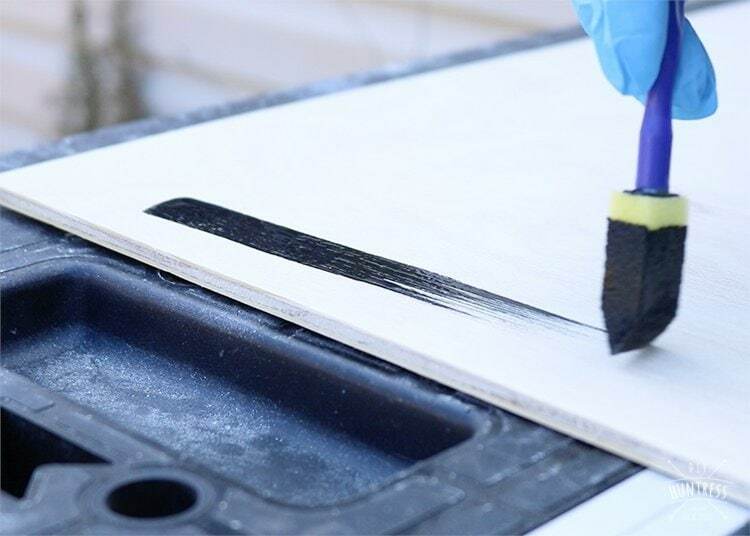 I used Varathane stain in Ebony and applied the stain with a foam brush. I then allowed it to sit for a bit and wiped away the excess with a shop rag. 10. Once the stain has dried, it’s time to bring in the big guns (by big guns, I just mean the other pieces you went to the hardware store for). Use wood glue and your nail gun to attach the piece of unfinished, unstained plywood with your design to the ½” piece of plywood that’s been waiting so patiently to be used. 11. 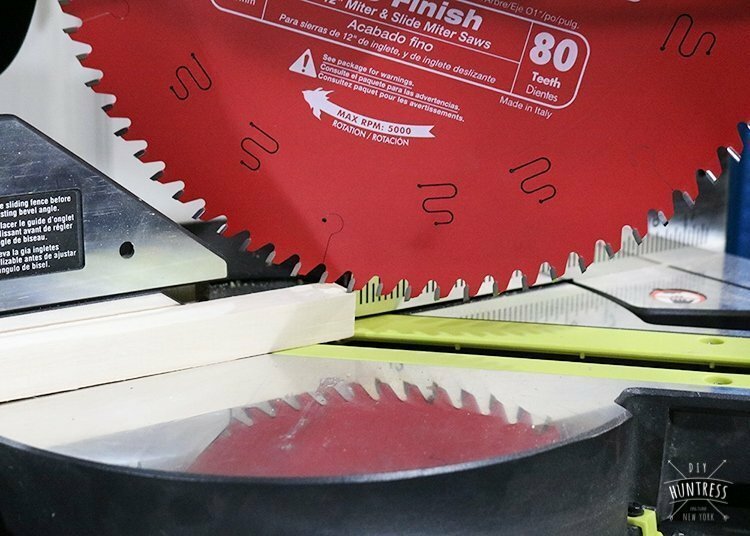 Next, use your miter saw to cut your ¾” dowels to 24″ each. 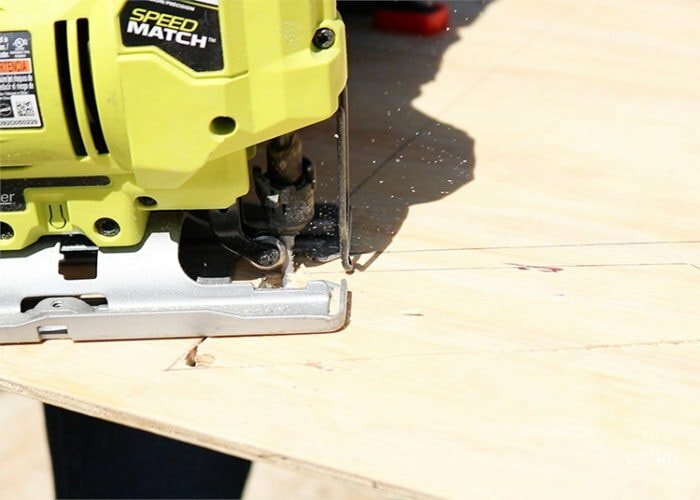 Be sure to take it slow here and make sure your miters are all facing the right way. 12. 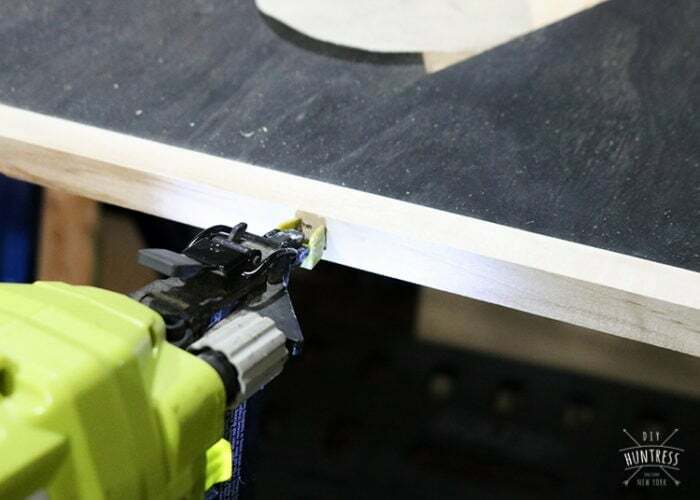 Then, attach your miters with your brad nailer. 13. Last, attach your photo hangers! 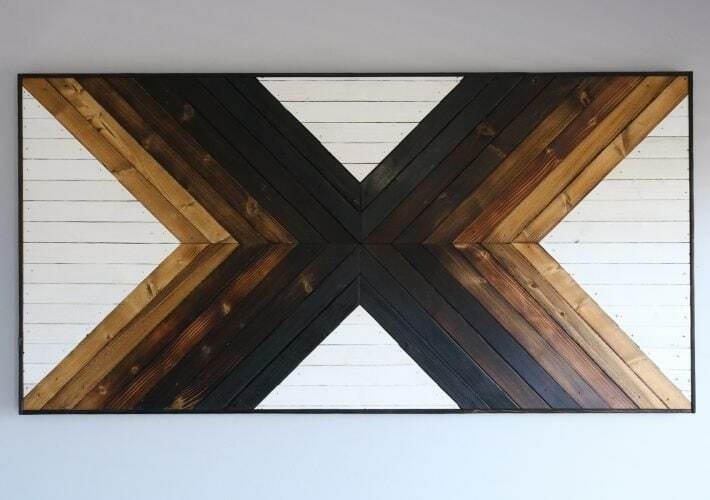 I personally love the minimal look of this piece of wooden wall art – and since it’s so customizable, the possibilities are endless! Also, make sure to check out some other amazing Wall Art Projects from my talented friends (links below)! 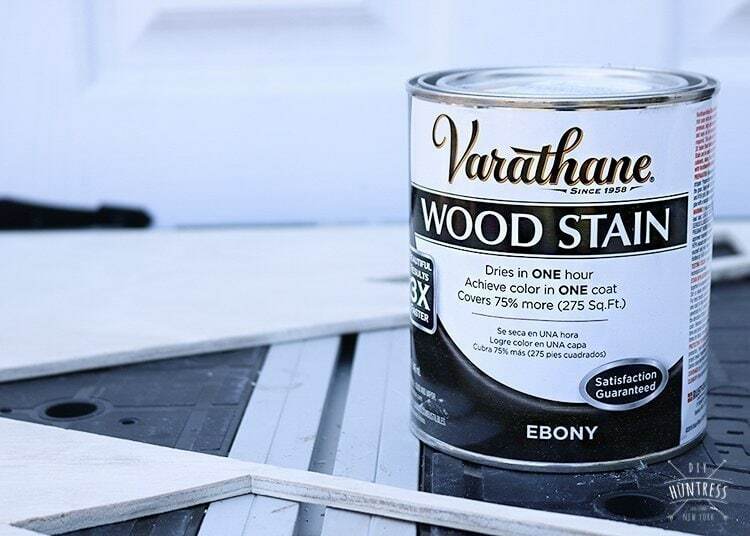 Even better, if you create a piece of artwork and use Varathane stain, you can win a $500 Home Depot Gift card! 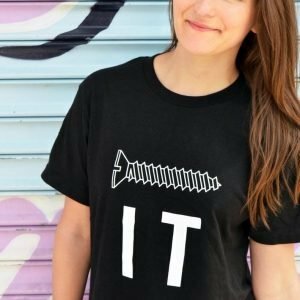 Varathane is giving one gift card away per month! Can’t wait to see what you guys make! This post is sponsored by Rust-Oleum. 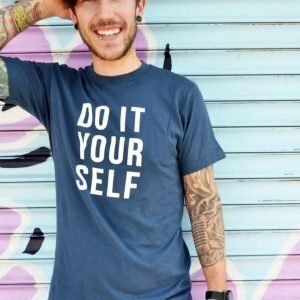 All product opinions and design choices are my own! For my full partnership disclosure policy, click here. Thank you so much, Bethany! And thanks for being so awesome! This was so much fun! It looks beautiful, Sam! I love the sharp contrast between the wood. Beautiful work, Sam! 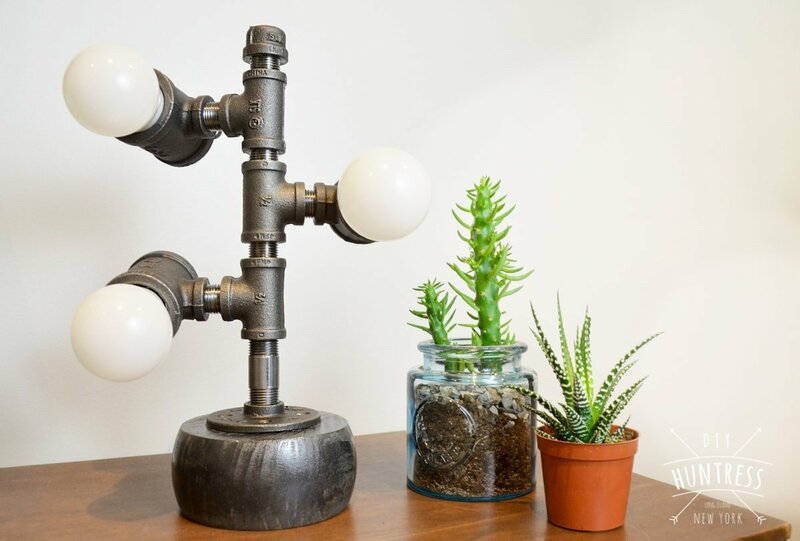 Very simple design, yet very stylish. Very pretty project Sam! I love the angles of the “mountains”. I love the contrasting colors. Love the contrast between the mountain and the backgrounds! Such an awesome idea! 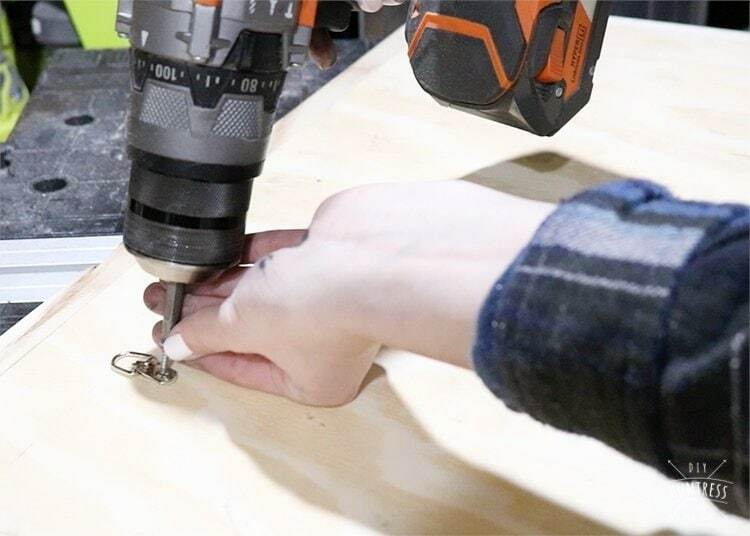 Sam did you just stain the 1/4 inch plywood and leave the back and dowels natural? Looks like it, but a bit hard to tell. Also, was the 1/4 natural before staining, it looks almost white in some of the photos? Love the little ok of the finished piece. Good work Sam! Very impressive. Can I make this smaller? Like 8×11? 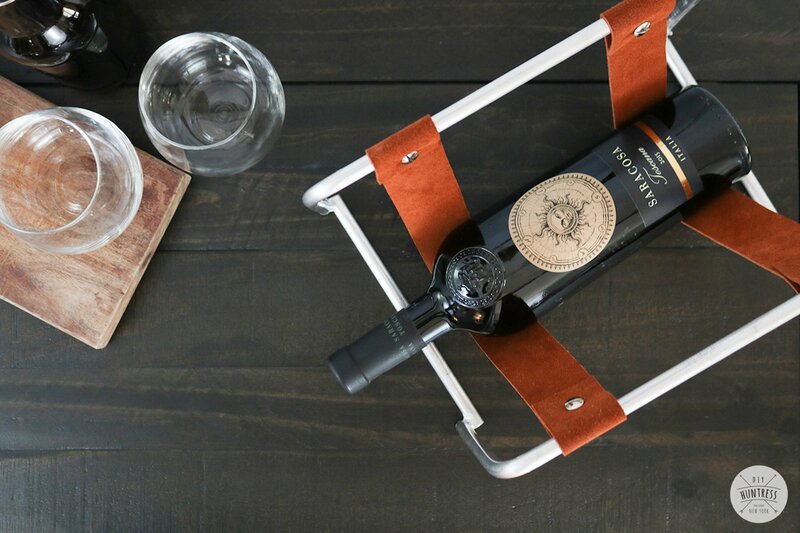 I’m not much of a wood worker, but want to give this a try. Of course! You can make it whichever size you’d like!